Register for the STEM Virtual Career Fair on October 24! The debate over women in the workforce has raged on for decades. People from all sides of the political spectrum argue over what is factual, fair and most productive. But few industries are facing as unique a discrepancy as Science, Technology, Engineering and Math, more commonly referred to as STEM. According to a United States Department of Commerce study, while women make up almost half of the American workforce (48% to be exact), women hold just 24% of STEM jobs. 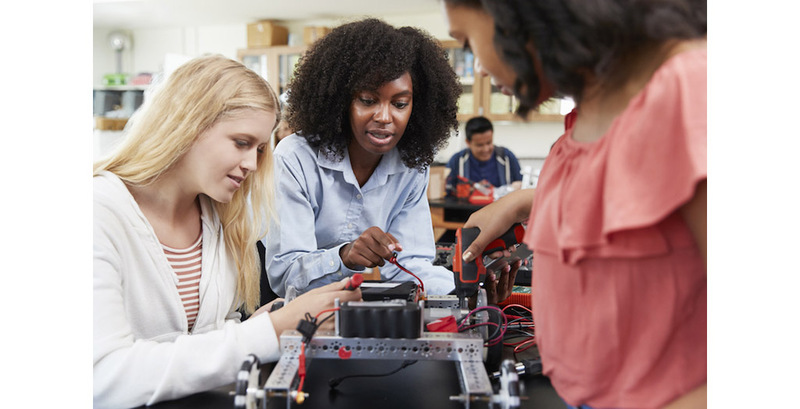 And while the percentage of female college-educated workers increased from 46% to 49% during the last decade, a World Economic Forum study pointed out that only 16% of female students graduate from STEM subjects. The study concludes that those women that do graduate with STEM degrees are far less likely to fill STEM occupations than male graduates. And if they do, they suffer a 14% gender wage gap, earning $0.86 for every $1.00 their male counterparts earn. Many have speculated at the reasoning behind these alarming statistics. Are we not encouraging women to engage in STEM? Are there not enough female role models? Do we speak differently to young girls about STEM subjects, leading them to believe they aren’t as capable as boys? Are employers not as supportive of a work-life balance, particularly for working mothers? Whatever the reasoning behind the lack of women in STEM jobs, our economy is losing out on a major wealth of female brainpower. We only need to look at history to see just how impactful women have been on innovation and progress. For example, where would humanity be without Marie Curie and her documentation of the properties of radioactive elements and their compounds? Her work has been foundational in both scientific experimentation and the field of medicine. Katherine Johnson, noted space scientist and mathematician, was honored by NASA Langley just last month at the opening of the Katherine Johnson Computational Research Facility. It was a well-deserved recognition after her instrumental contribution to America’s aeronautics and space programs. Did you know that the APGAR score, the gold standard of assessing a newborn baby’s well-being, was developed by obstetric anesthesiologist Virginia Apgar? And while most often remembered for her films, Austrian actress Hedy Lamarr co-invented an unbreakable radio-frequency code to help combat the Nazis during World War II. Her work is the foundation that makes cellular phones, fax machines and Wi-Fi possible. There’s been increased motivation to encourage and maintain engagement with young girls interested in STEM. Earlier this year, Microsoft launched a campaign called #MakeWhatsNext aimed at raising awareness of the barriers that cause young girls to drop out of or lose interest in STEM. GoldieBlox, an award-winning children’s multimedia company, creates toys, games and entertainment with the purpose of building young girls’ confidence in engineering and problem-solving. Perhaps with more initiatives like these, we can begin to see more women in science, engineering, technology and mathematics positions. At AMU and APU Career Services, we’re committed to helping all of our students reach their career goals. If you’re looking for a position in the STEM industry and would like assistance reviewing your resume or preparing for an interview, email careerservices@apus.edu. Also, don’t miss our STEM Virtual Career Fair on Wednesday, October 24, for the chance to network with an impressive roster of employers. Not sure which direction to go? Email selfdiscover@apus.edu to speak with a Career Exploration Specialist.